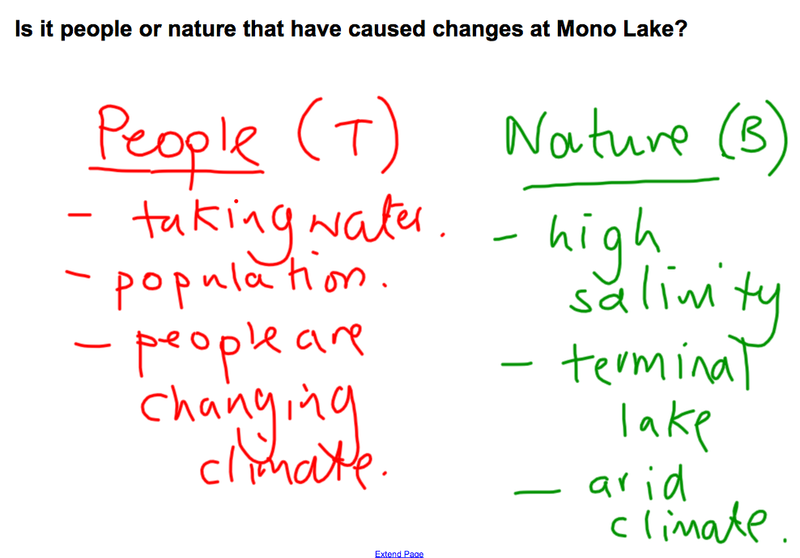 A case study of the water cycle and an ecosystem. 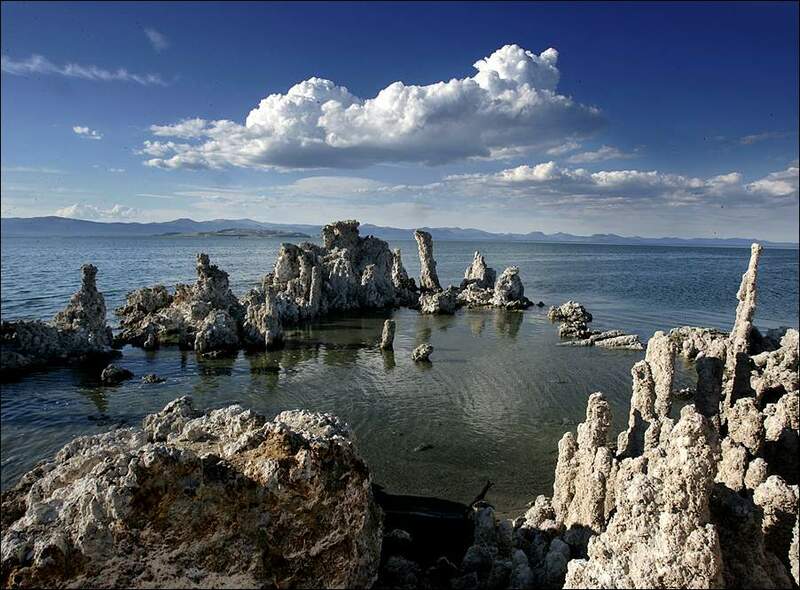 Mono Lake is in California and is a product of the interaction of the living and non-living environment. It is a very unique environment which is being changed by people. There are clear benefits and costs to these changes - but what is clear is they cannot continue because they are not sustainable. Understanding how air pressure affects the weather is vital to being able to understand and predict the weather. Sinking air creates HIGH PRESSURE which results in air warming up and lower levels of condensation. Rising air creates LOW PRESSURE which results in air cooling and water in condensing. 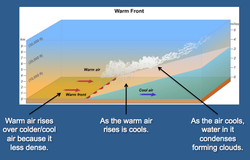 The most common way for air to rise is at a front where warm air meets cold. 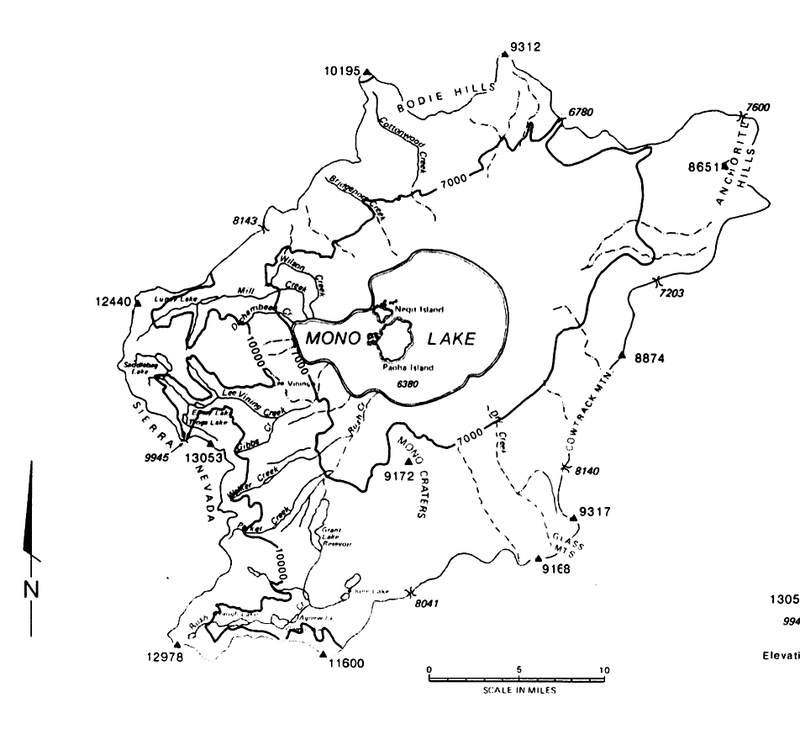 The presentation on the left outlines the way that different pressures system work and the weather that they bring.